The month of August was all about Golden Paw Animal Rescue here at the credit union. Our employees could pay to dress down for the month, we sold ice cream and we had a drawing for a cat tree and for a dog sofa bed! 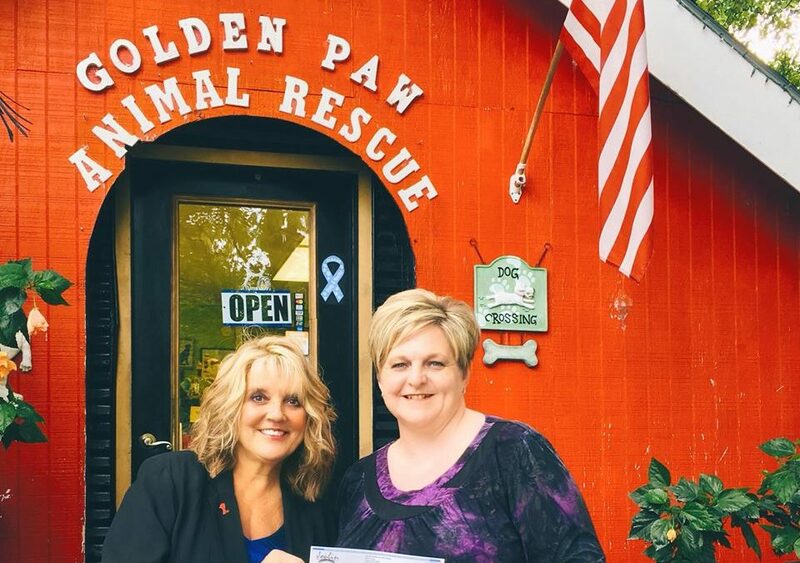 Today Karen Jones, MSR/Marketing and Jeni Crossley, Executive Vice President, presented Golden Paw with a check for $1005.00. Thank you to all our members who helped make this possible!